Orange Beach condo for sale at Turquoise Place. Welcome to as good as it gets on the Alabama Gulf Coast! This 3,500 sq. ft. 4 bedroom, 4.5 bath condo is located on the West corner of the West Building and offers breathtaking views of Gulf. 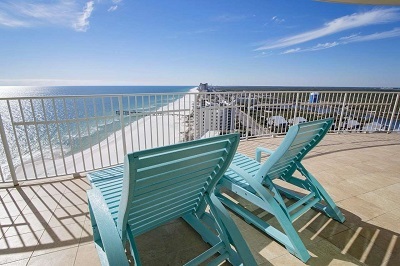 The condo is on the 19th floor so you have unobstructed views West for some of the best sunset views in Orange Beach! High end appliances, tile throughout, balcony hot tub, natural gas grill on the balcony, natural gas stove, and much more!